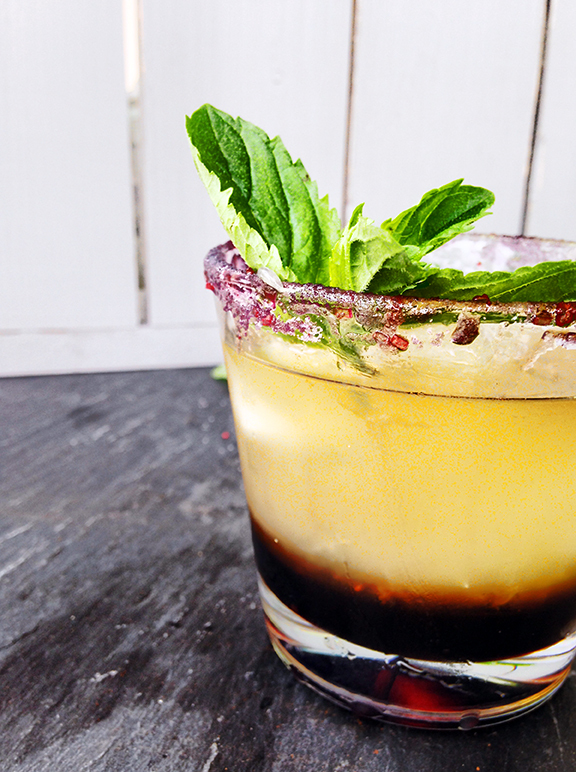 Use a slice of lime to wet the edge of a 6-8 oz glass and rim it with rokz Pomegranate Sugar. Add a couple of large ice cubes or fill with crushed ice. Add the ingredients in order to create lovely layers and garnish with mint. Swirl and enjoy!